Last weekend, I went to Wonder Con which got moved from Anaheim, California to Los Angeles, California and it's basically the official sister of San Diego Comic Con. 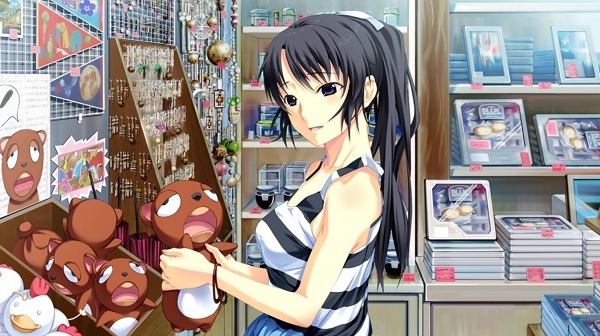 Although for this year, I was somewhat disappointed for not seeing any cosplayers who caught my interest because they were mainly "fat people" (who shouldn't be cosplaying and showing skin, in my opinion) during my time in the convention. But on the bright side, I did obtain some cool stuff and got to meet two developers of Hyrule Warriors Legends during their poster signing. 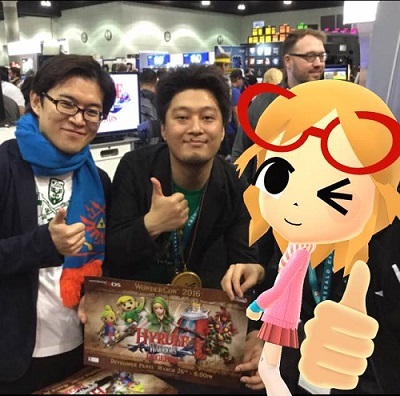 Got myself (censored as my Mii) with the Hyrule Warriors Legends developers pictured. 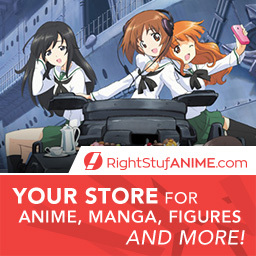 An anime body pillow and shirt store stand. 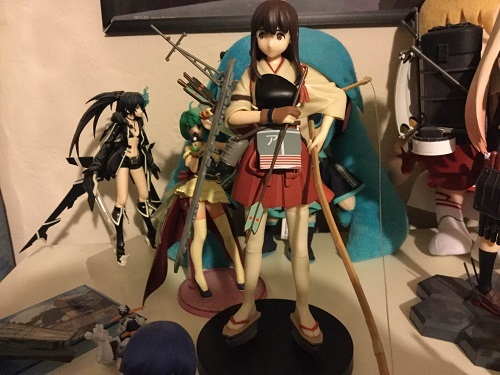 Obtained my Akagi (from Kancolle) figurine. 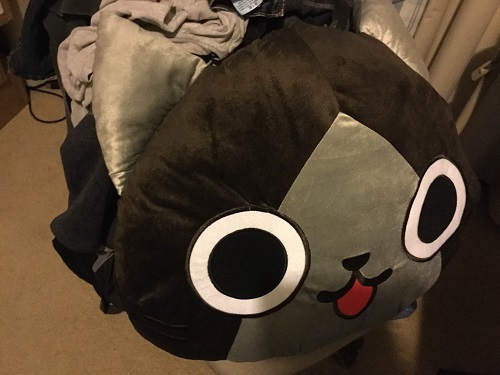 Obtained a cute Felyne head plushie pillow from Monster Hunter. 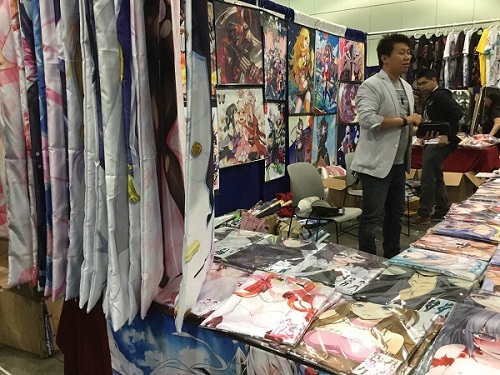 The convention was pretty fun just like the past years and I'll probably do some coverage again next year (unlike not doing a post for 2015).